At Pure Creative, we love custom magazines. We adore the process; the brainstorm, the planning, the writing, the editorial design and creating a cover that is simply unforgettable. We are proud to announce the launch of the first issue of Captivated, the Shimansky publication. 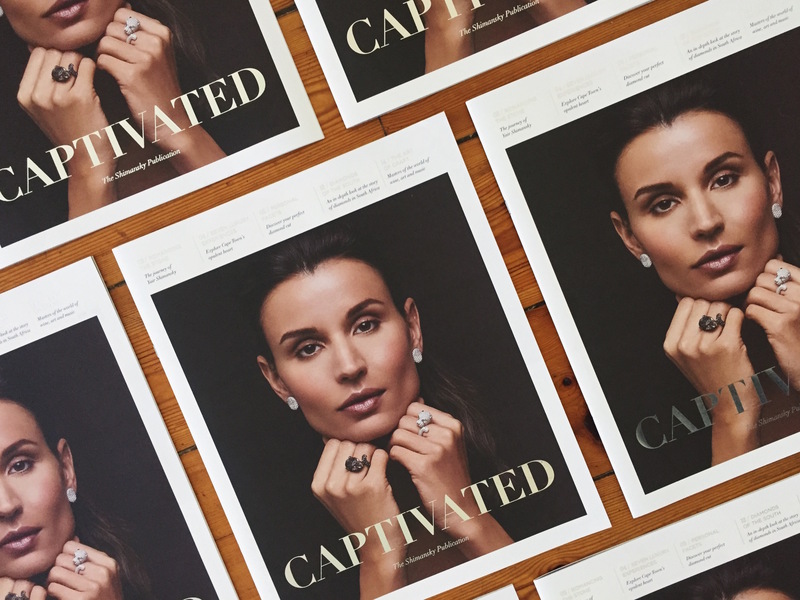 Pure Creative was commissioned to create a branded magazine for diamond and jewellery pioneer Shimansky. Through creating concise copy and executing elegant editorial design, Captivated speaks to the heart about nature’s finest gift. The magazine offers a moment to reflect on life’s beautiful objects, its treasured moments and the people we share those moments with. Issue one of Captivated is available from Shimansky’s V&A Waterfront showroom in the Clock Tower precinct.